This size chart is only for estimating the length of a stole given as a gift. 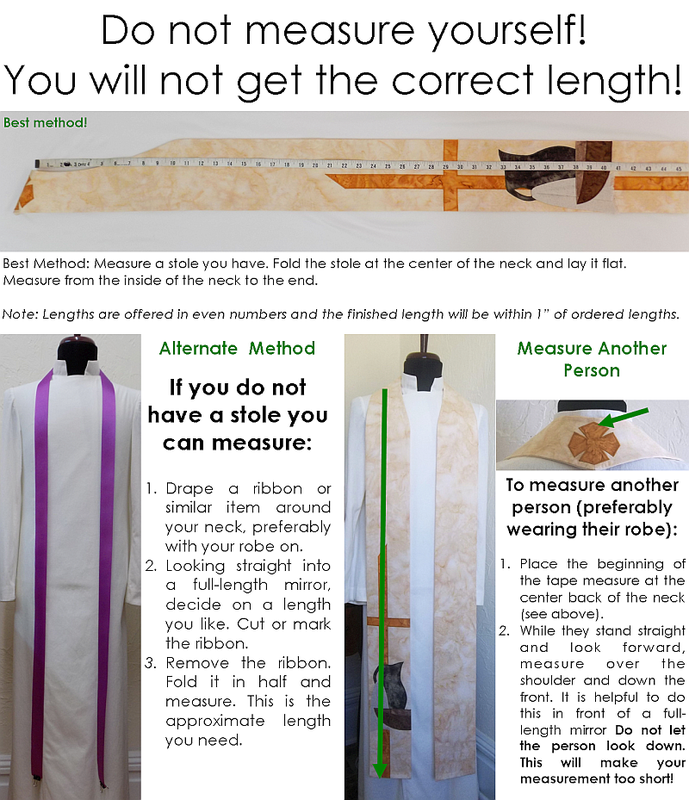 The best way to determine stole length is to measure and let the wearer determine their length preference. I have clients who are 5'4" and want a 52" stole, and some who are 6'2" who want a 46" stole. If the stole is to double as a cross-over type deacon stole, add 2 inches to the preferred stole length. 5' - 5'4" 42" - 46"
5'5" - 5'8" 46" - 48"
5'9" - 6' 48" - 50"
over 6'1" 50 - 54"